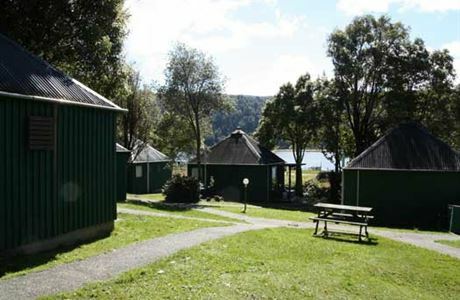 Camp or stay in a chalet by the lake with a beautiful view. 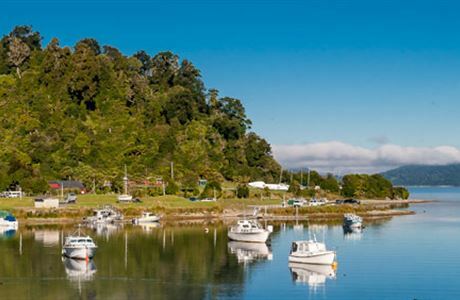 Explore the many walks nearby or enjoy boating, fishing and kayaking on the lake. Take time to get connected - it's in your nature! From Wairoa: 57 km on SH38 - allow 1 hour to drive as there are some gravel sections. From Rotorua: 163 km on the Te Urewera Rainforest Route - allow 3 hours to enjoy this scenic drive along a gravel road. Minimum fee per site is two adults. NZMCA / DOC campsite pass cannot be used at this campsite. 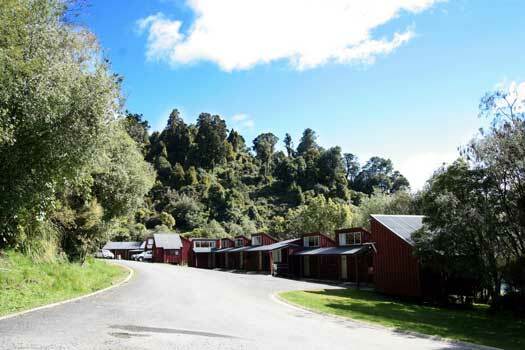 Walks from the holiday park range from 10 minutes to 2 hours on well-formed tracks. 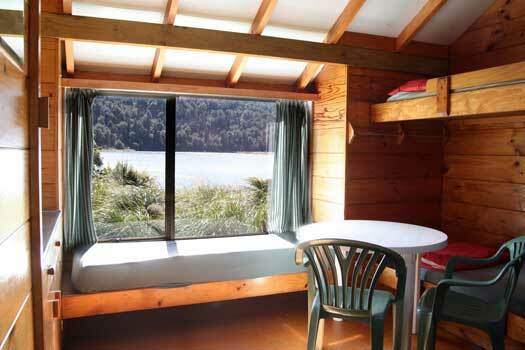 Explore the surrounding bush, visit pretty waterfalls and admire views of Lake Waikaremoana. For more information see Lake Waikaremoana short walks. 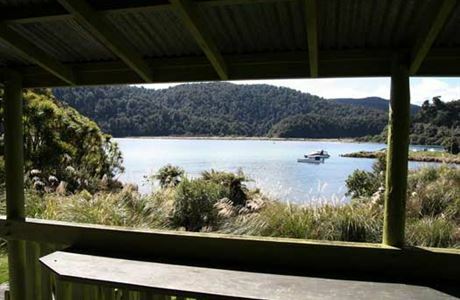 Lake Waikaremoana is well stocked with rainbow and brown trout. Anglers must have a licence, which can be obtained in advance from the Fish &Game Council or on-site from the holiday park, and adhere to local regulations. For access maps and information, see nzfishing.com. Cellphone coverage is limited but a public pay phone is on site. 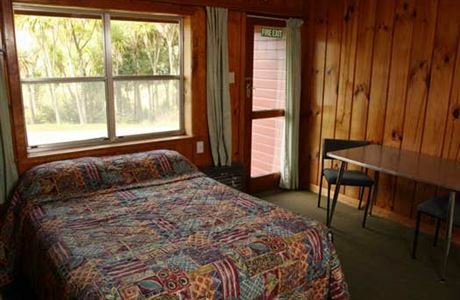 The nearest town is Wairoa. 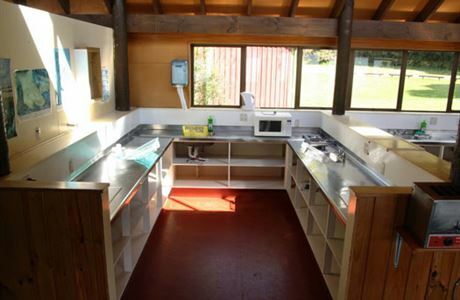 It's a 1 hour drive from the holiday park and has supermarkets and a range of other shops. Weather can be changeable at all times of the year - pack for all seasons. All motorhomes that require power must have an Electrical Warrant of Fitness (WOF), which will be checked on arrival. If your Electrical WOF isn't current you won't be allowed to connect to power. No pets. The holiday park is located in Te Urewera. To protect native animals in the park, dogs are not allowed. However, dogs are welcome at Okahu Road Campsite (66 km north of Lake Waikaremoana) and Waikare River Mouth Campsite (129 km south of Lake Waikaremoana). No open fires and fireworks. No jet skis, house boats and float planes are permitted on the lake.